Trees and woods are crucial; they give homes to wildlife, clean air and water, provide food and fuel. But they're under threat. 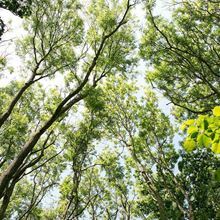 60 million trees have already been taken by Dutch elm disease and 126 million trees in British woods are at risk of ash dieback. There are 19 pests and diseases attacking our native trees, six of which have reached epidemic levels and at least 11 more diseases are nearing our borders. 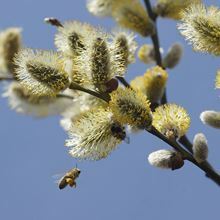 These tree packs have been developed in partnership with The Ash Project with the aim of maintaining the highest possible biodiversity across the landscape and enhancing the natural characteristics of the Kent Downs Area of Outstanding Natural Beauty. 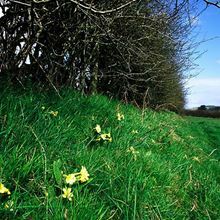 Subsidised (part-funded) by the Woodland Trust, the pack is designed to address the impact of ash dieback on landscape trees rather than hedgerow trees or large blocks of woodland. These are trees that might form boundaries, individual field trees or small copses. This pack is made up of trees suited to growing on large plots of land. It includes 45 cell-grown saplings, approximately 20-60cm in height. You’ll receive 15 of each tree species, the tree provenance of which we will try to match to your location; along with 45 1.3m hardwood stakes and 45 1.2m tubex shelters. Please note that some species within these packs can grow to a height of up to 40m, so take this into consideration when planting to ensure they have sufficient space. 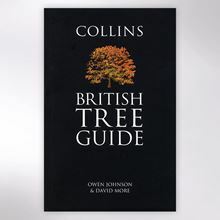 Estimate full-grown height: alder: 20m, beech: 10-40m, birch: 18-25m, field maple: 20m, hornbeam: 30m, oak: 20-40m, small-leaved lime: 40m, rowan: 8-15m, goat willow: 6-10 m, wild cherry: 18-25m. 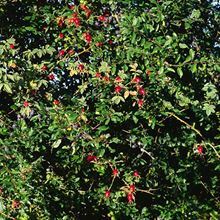 Visit the Woodland Trust website for more information about the trees in this pack. Read our guides to learn how to identify and prevent tree diseases. *The Woodland Trust is funding approximately 60% of the cost of these tree packs.